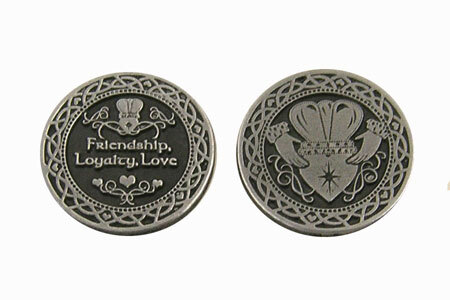 Friendship, Loyalty, Love pocket token measures approx. 1" and is made of lead free zinc. Back of coin shows a picture of a Claddagh.